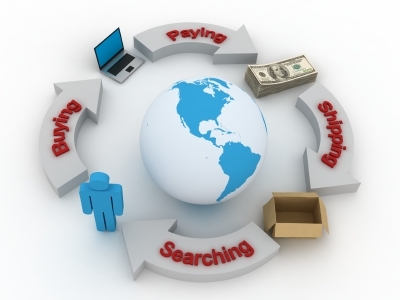 Nowadays, many businesses promote their products and services through ecommerce stores. However, having an ecommerce site alone does not guarantee sales. The following are some things you need to consider for your site to be effective. Since most web users look for information using search engines, SEO is a very vital element of ecommerce web design. For prospects to look at your site, they should first be able to find it online. Any given search term yields a number of results. However, most web users only browse the initial three of four pages of search results. If your site cannot be found on these pages, you will lose on potential customers and sales. Therefore, having a high SEO ranking is very important for any e-commerce design. One of the best ways of attracting traffic to your site is through using specific keywords to market your service or product. Carry out some research to find out which keywords people use when searching for products or services similar to yours. Including such keywords in your product descriptions and content will make it easier for people to find you using search engines. Besides using popular and relevant keywords, you need to ensure that your site has quality and relevant content. If people cannot find answers and solutions on your site, they will go looking elsewhere. Make sure the content on your site is both unique and useful. Duplicating content which appears on other sites will only result in being penalized by search engines. If you cannot find the time to write unique content yourself, you could consider hiring the services of a freelance writer. However, don’t forget to retain the full rights to the posts written for your site. Make sure the information offered about your service or product is sufficient. Think about the issues and concerns your prospects might raise about your service or product. It would be advisable to have a separate FAQ section in your site. This is where you can address the most commonly asked questions. In addition, you need to offer customers several options for contacting you, including a physical address, phone number and email. This will help you win the trust of potential customers. If you are selling something, you need to be outright about it. Clearly explain the benefits of your product and what makes it better compared to other similar products in the market. However, don’t exaggerate the benefits since you might end up losing potential customers. Make sure your site has a prominently positioned ‘order now’ or ‘buy now’ button. This will make it easy for customers to purchase a product or place an order. Charles Mburugu has a great passion for sharing blogging and web development tips. At the moment, he is writing for MotoCMS templates.